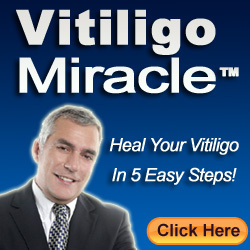 vitiligo hand make up procedure explained in this video is very simple an could be applied in minutes. The person affected by vitiligo has to get some kind of make-up that can match perfect to the normal skin color. Often those skin color agents utilised have an orange shade. To overcome this defective orange undertones green concealer or blue one is added to the make-up. A fine blend of the two products is made before applying it on skin. The concealer used has to be blended fine to it can leave green coloration when dried. The blending of the concealer and the color has to be mixed until it matches your normal skin color.